Whenever I travel on long trips via Interstate 10, I always seem to stop at the same gas station. While there last year I came across some Batman: The Brave and the Bold temporary tattoos featuring Firestorm. 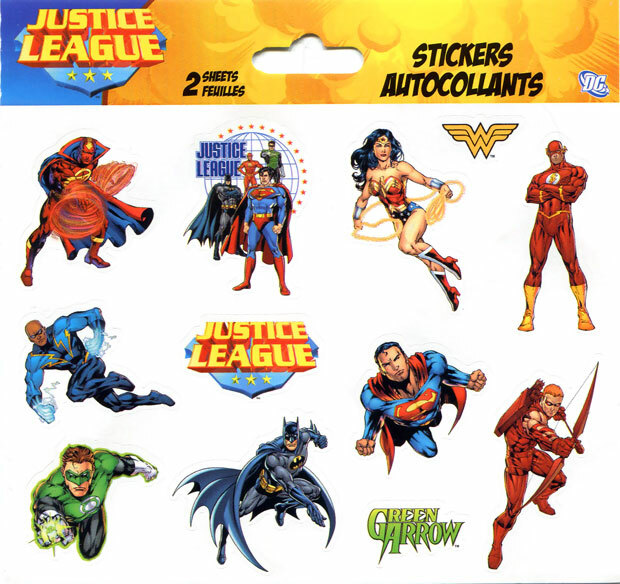 I stopped there again recently and came across the Justice League stickers below, also featuring Firestorm! Crazy! Apparently this out-of-the-way gas station is the mecca for obscure Firestorm merchandise. There were two different sheets in the package. To give you some perspective, each sheet measures about six inches across and five-and-a-half inches high. Below is the front sheet, with the back sheet beneath that. I was impressed with the inclusion of some more obscure characters such as: Red Arrow, Black Lightning, Black Canary, Vixen, Zatanna, and obviously Firestorm. 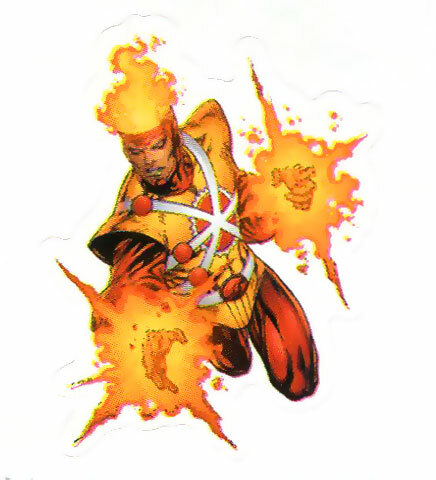 Below you’ll find a close-up of the Firestorm sticker. The image was taken from an Ed Benes drawing done back in 2009. Neat stuff! 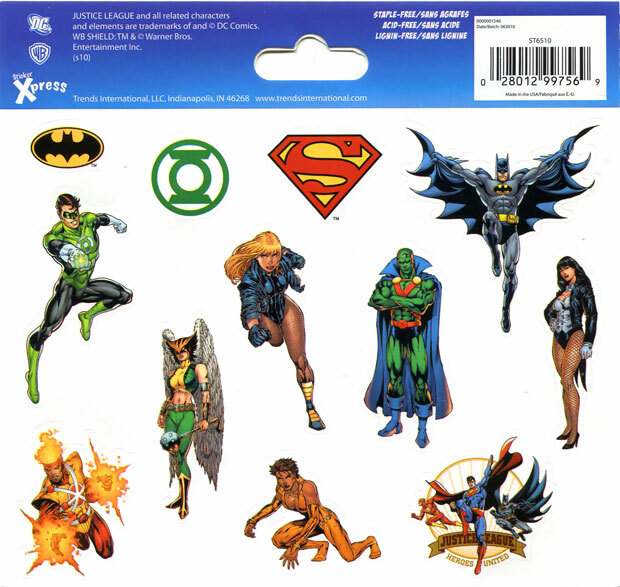 Seems like they were banking on the popularity of Batman, Green Lantern, and Superman to sell these stickers! For me, it was the guy whose head is on fire. Posted in: Crossover, Justice League of America. Sweet! The next time you are there pick some up for me. It’s interesting how the Green Arrow logo is right next to Red Arrow without a picture of Green Arrow anywhere else. Must say, I’m really jealous. The Firestorm sticker is awesome!! !